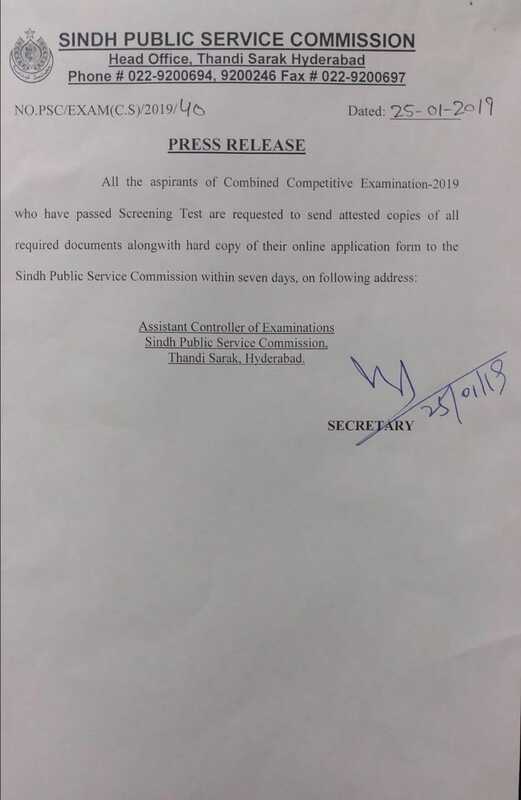 The major functional task of the Commission is directed towards scrutiny of requisitions, processing of applications, conduct of examinations, tests and interviews for the requistions received from various Departments of Sindh as per laid down procedure. 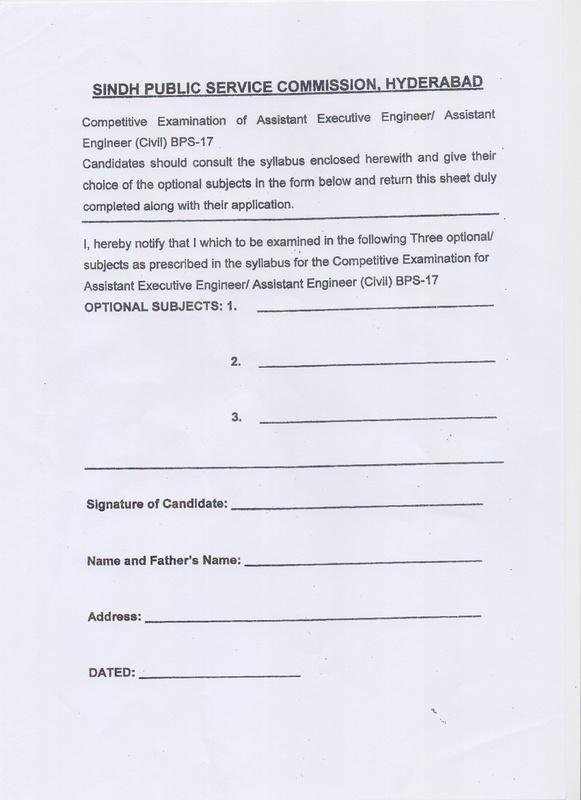 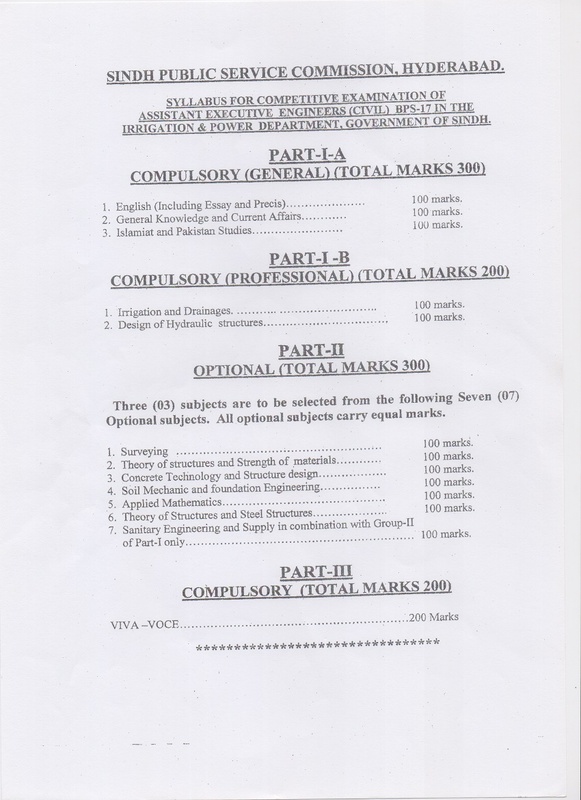 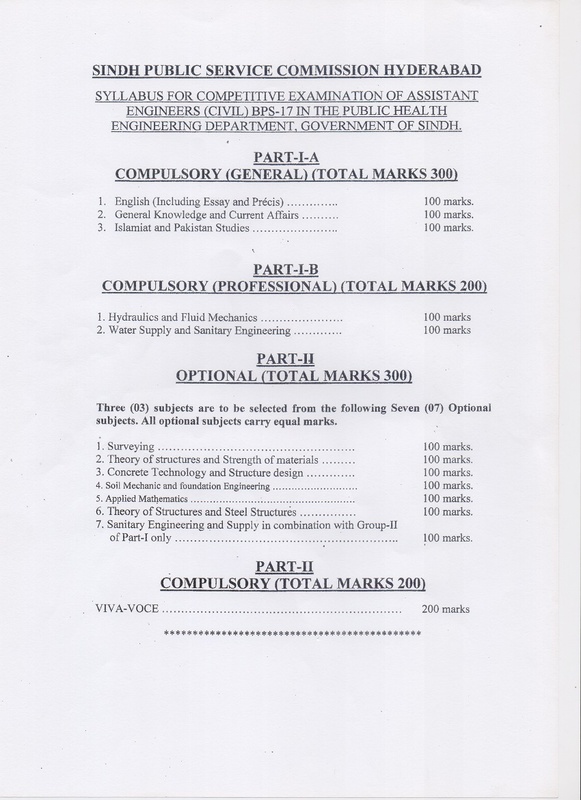 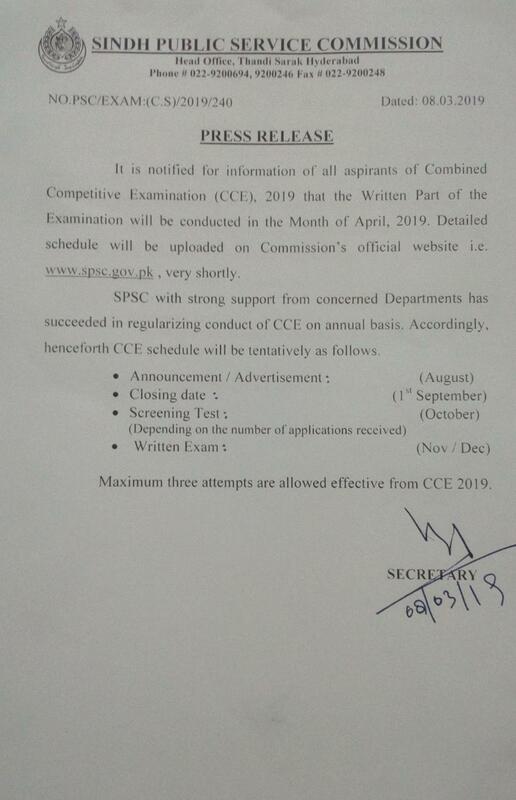 Written Part of CCE-2019 in Progress...............Click here to view. 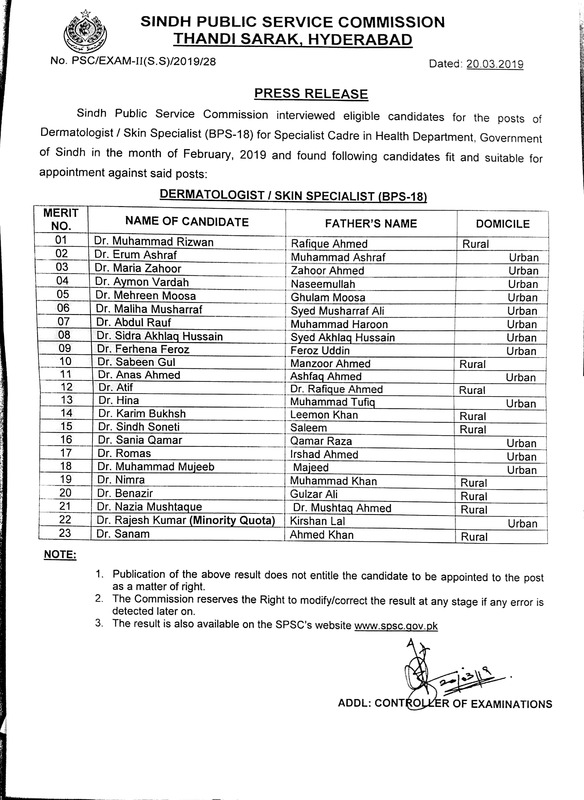 Medical Officer (BPS-17) for MirPurkhas Division in Health Department, Govt of Sindh. 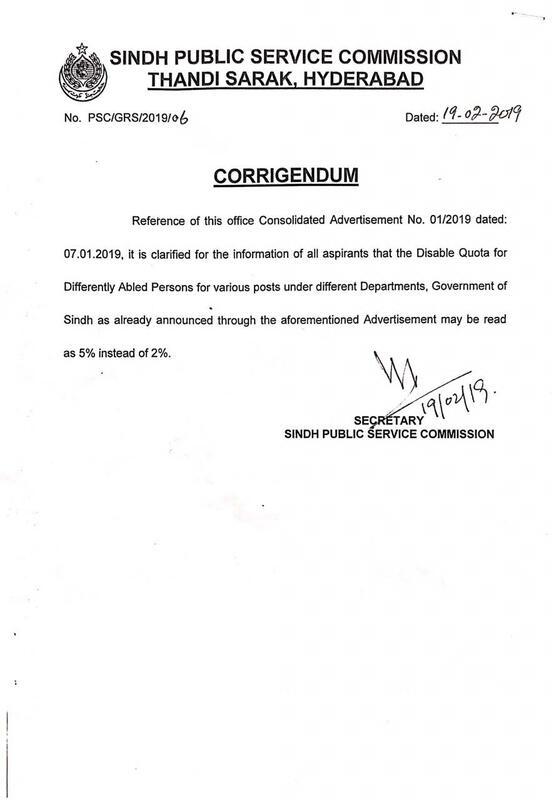 Advertisement NO. 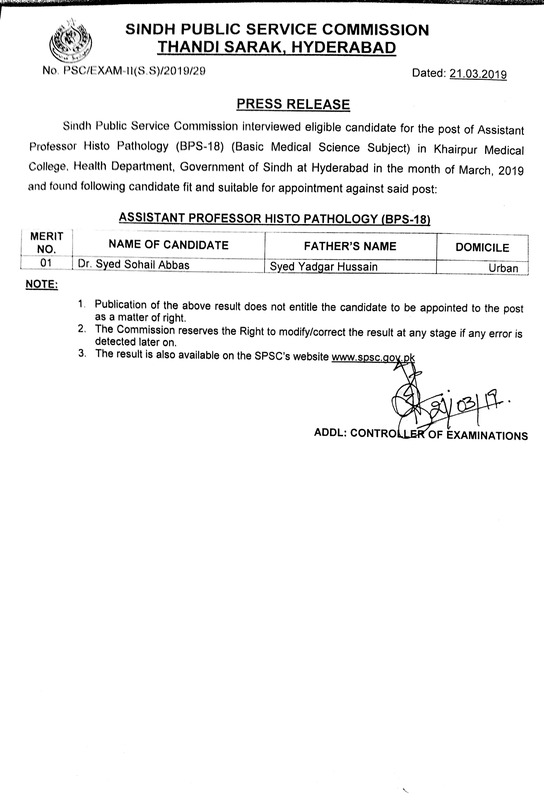 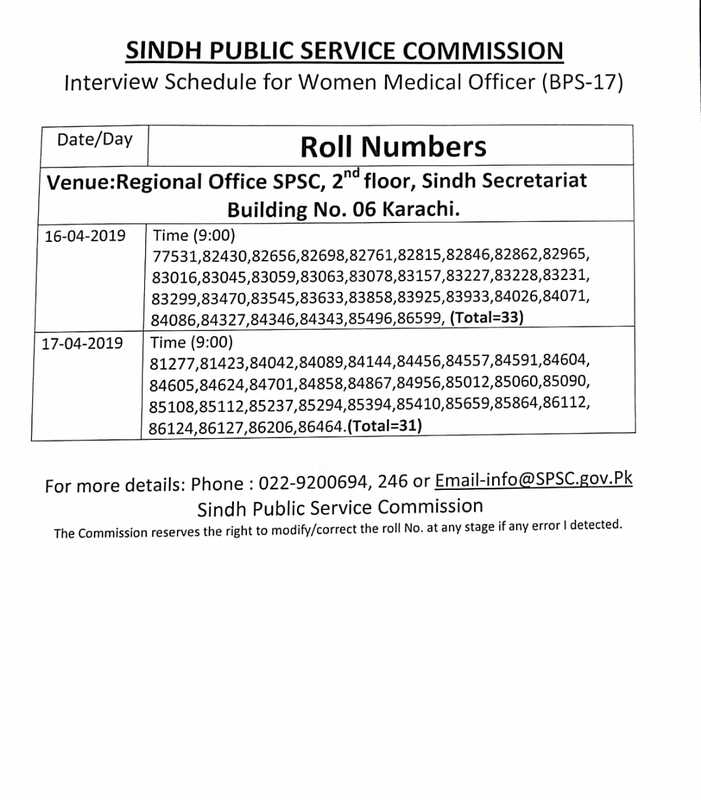 05/2019 in Public Health Engineering & Rural Development Department Govt of Sindh. 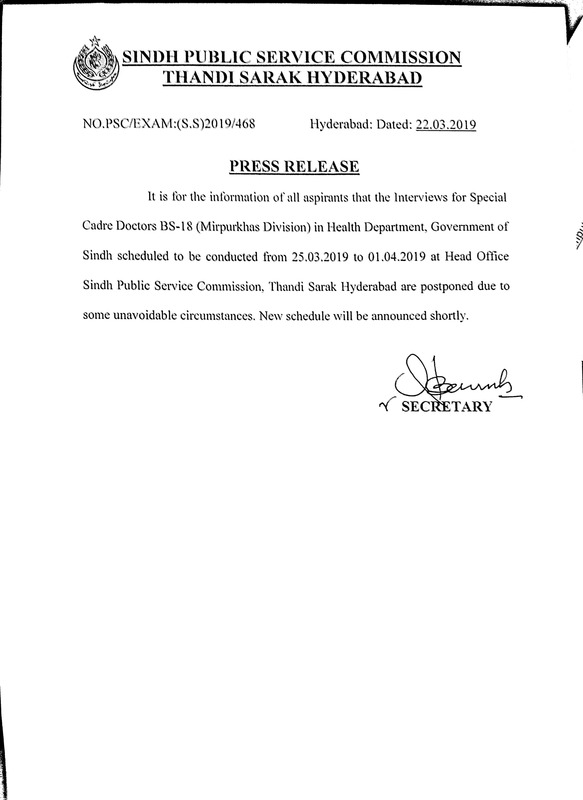 March 22, 2019, Press Release. 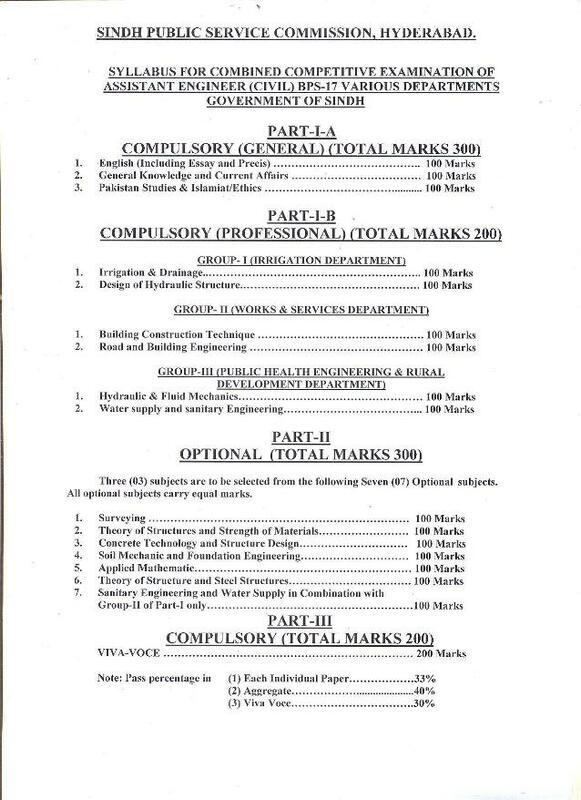 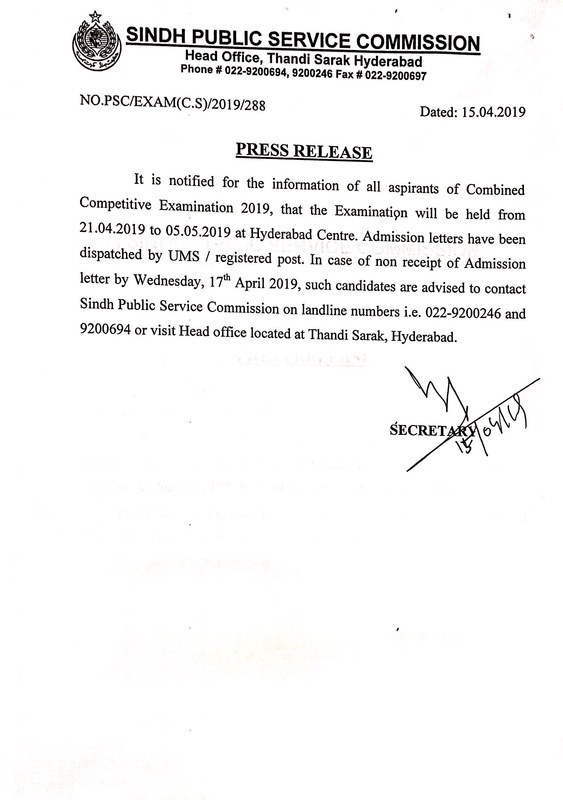 Combined Competitive Examination, 2019 . 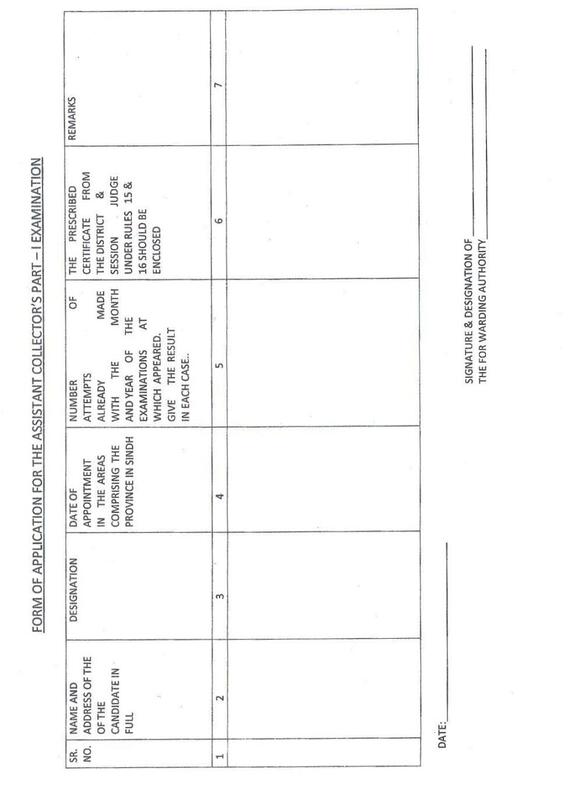 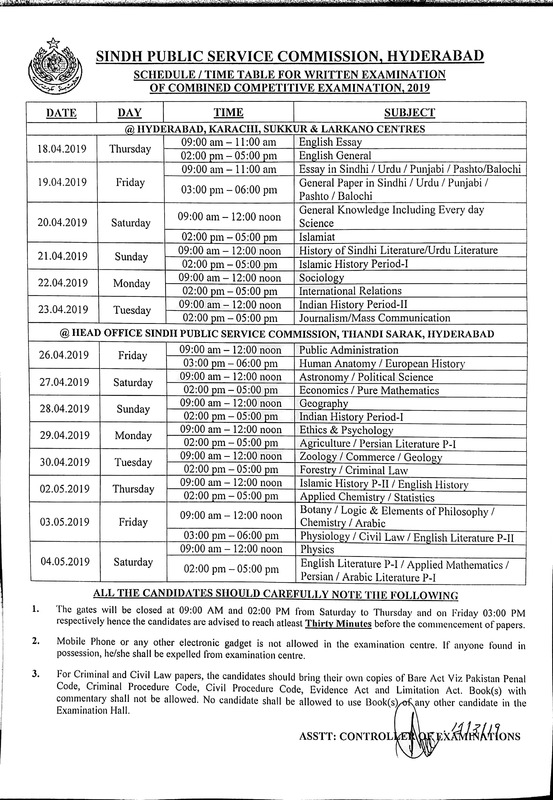 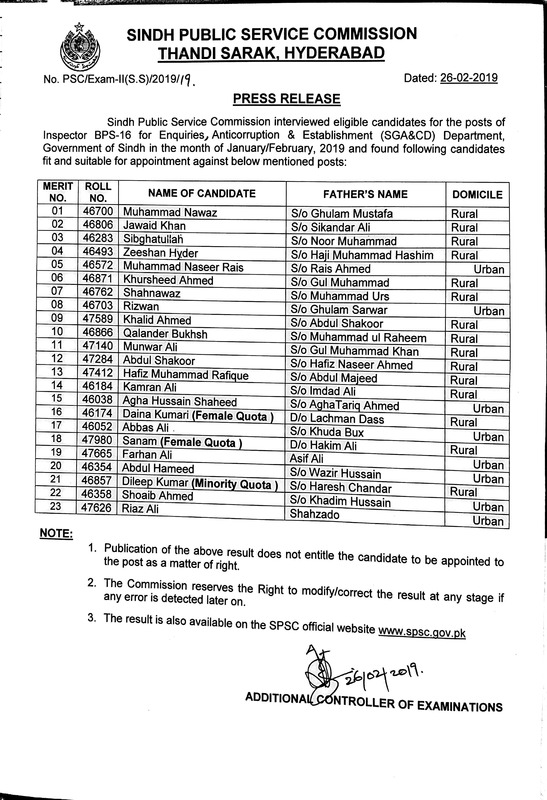 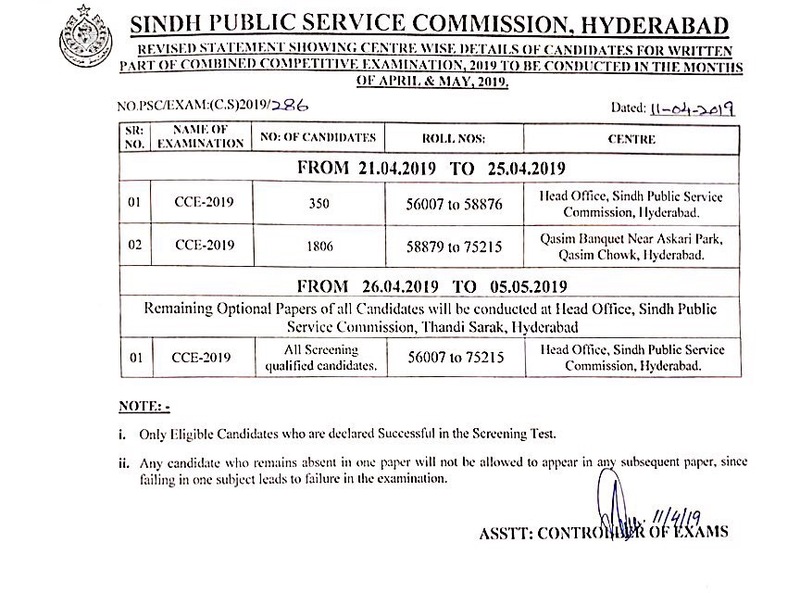 February 21 ,2019 Centre Wise Details of Candidates. 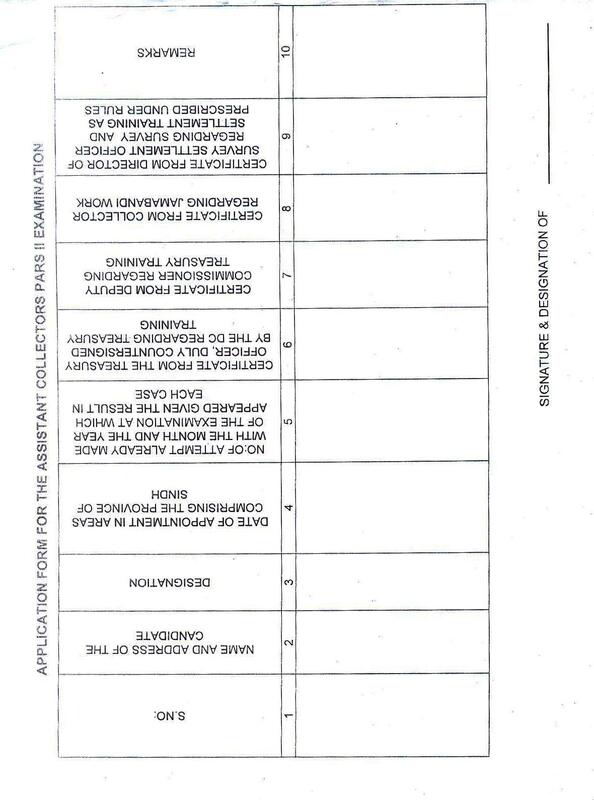 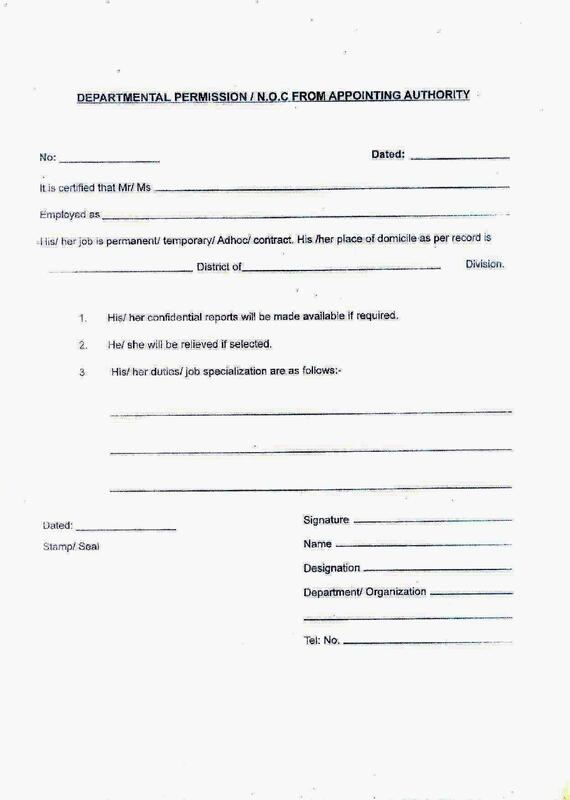 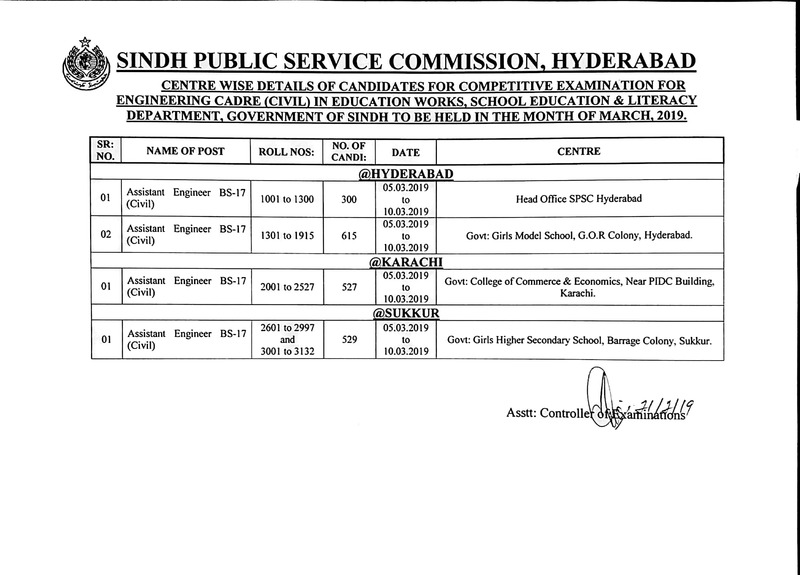 Reference of this office Consolidated Advertisement No. 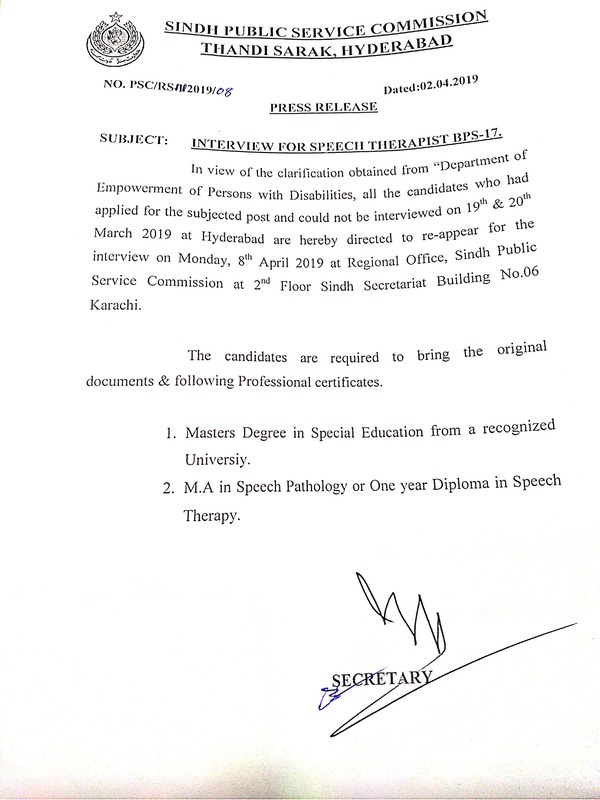 01/2019 dated: 07.01.2019......... the Disable Quota for Differently Abled Persons ...........may be read as 5% instead of 2%. 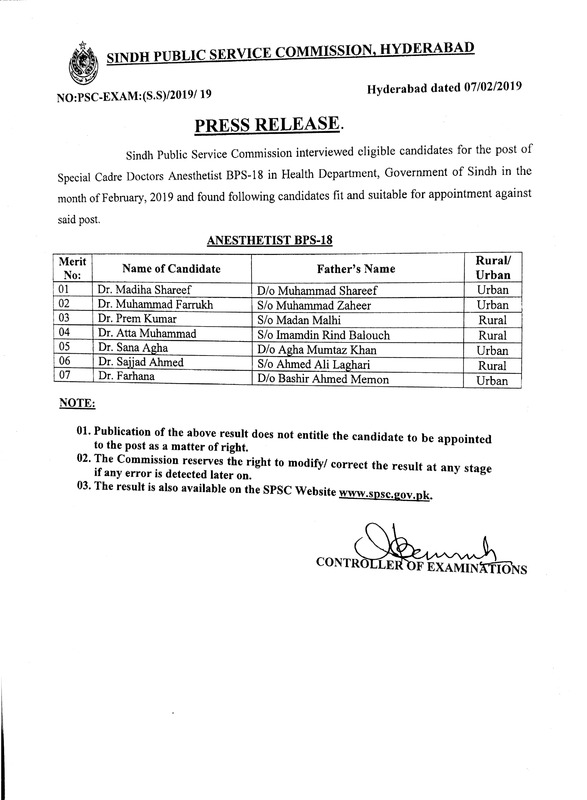 February 18 , 2019 Press Release. 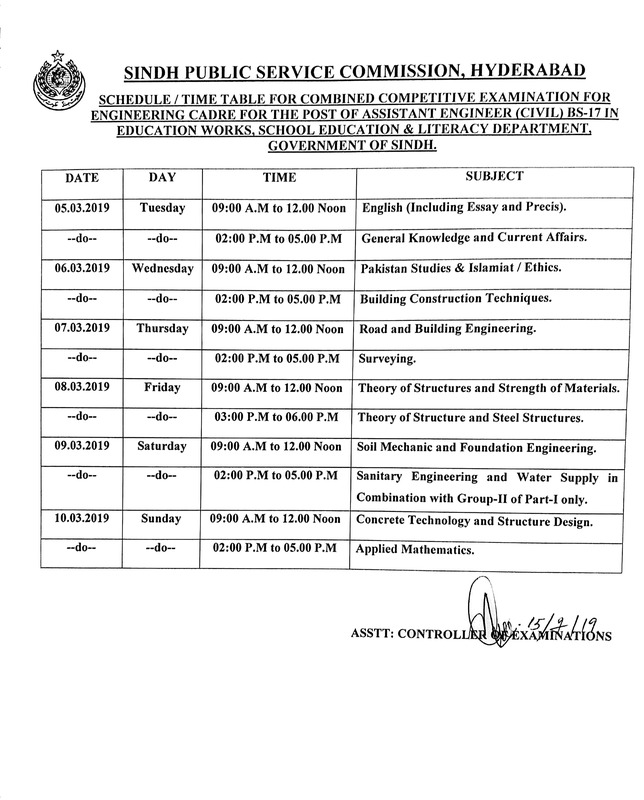 February 15 , 2019 Written Test Time Table. 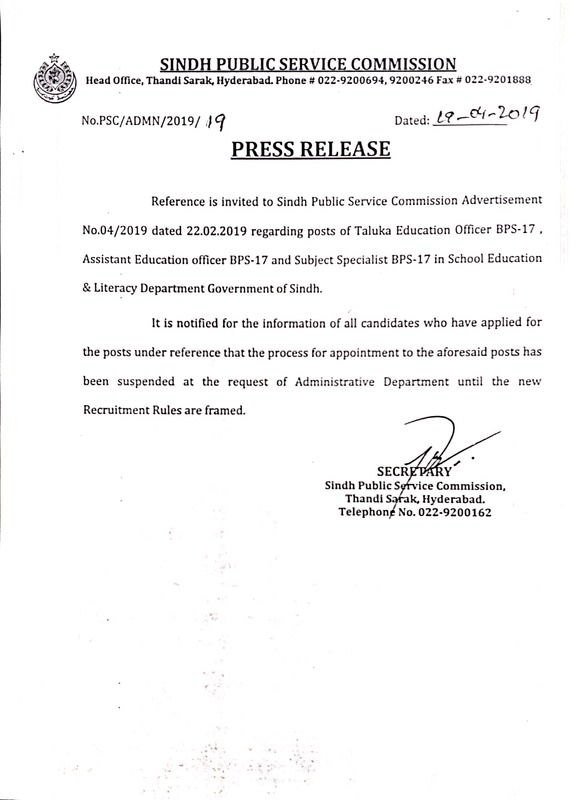 January 25, 2019, Press Release. 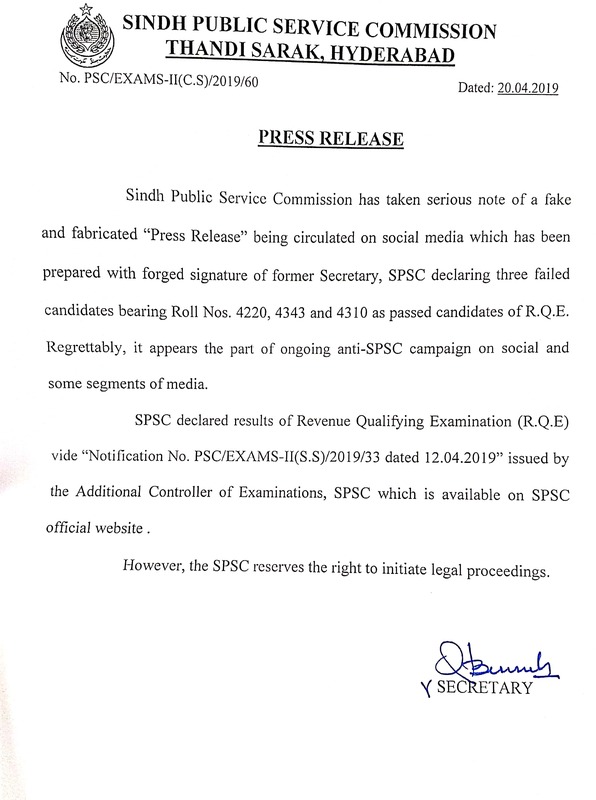 January 17, 2019, Press Release. 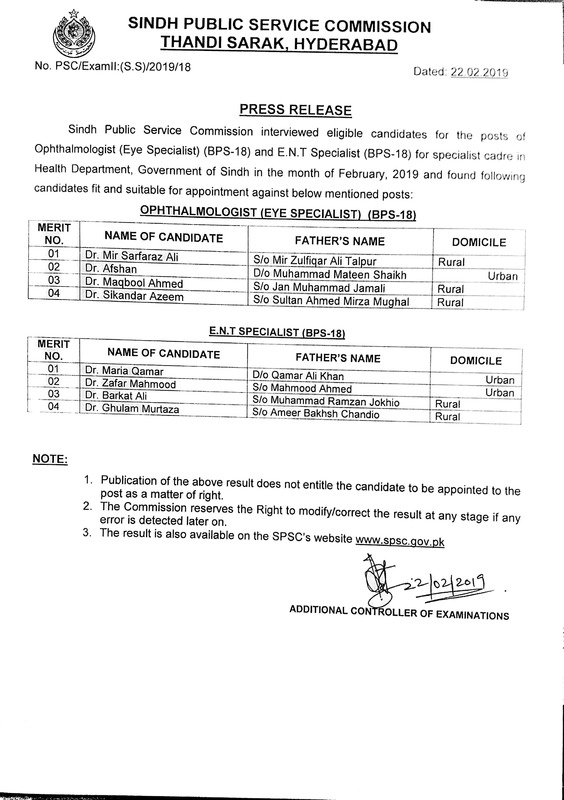 January 08, 2019 Departmental Examinations Result Announced. 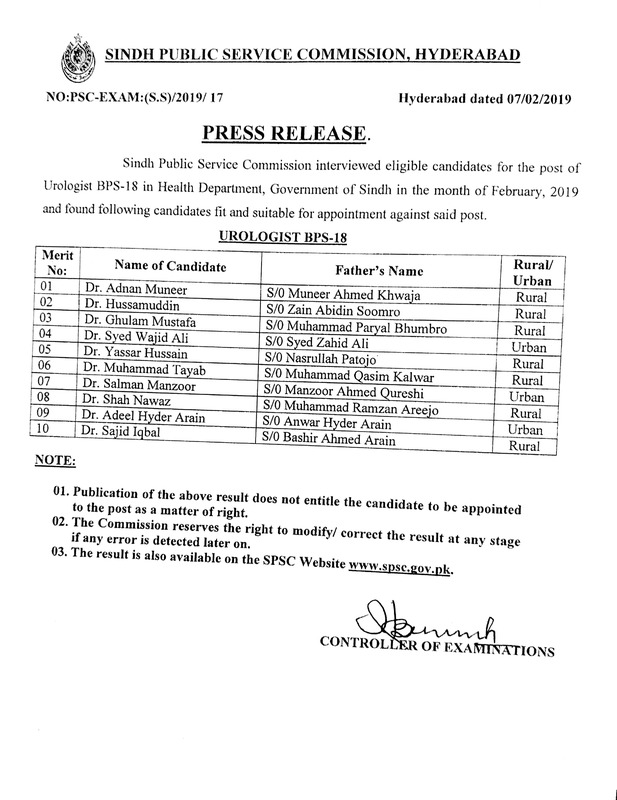 January 08, 2019 Screening Test Result Announced. 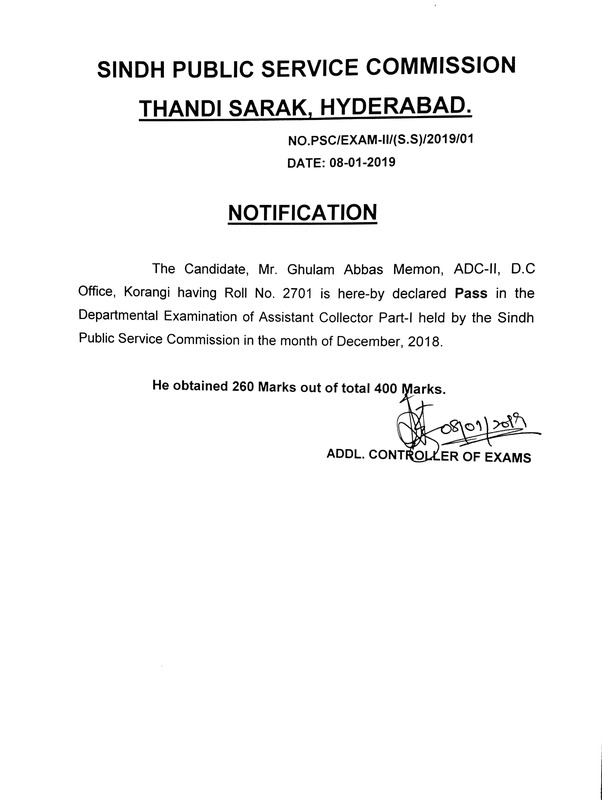 January 08, 2019 Written Test Result Announced. 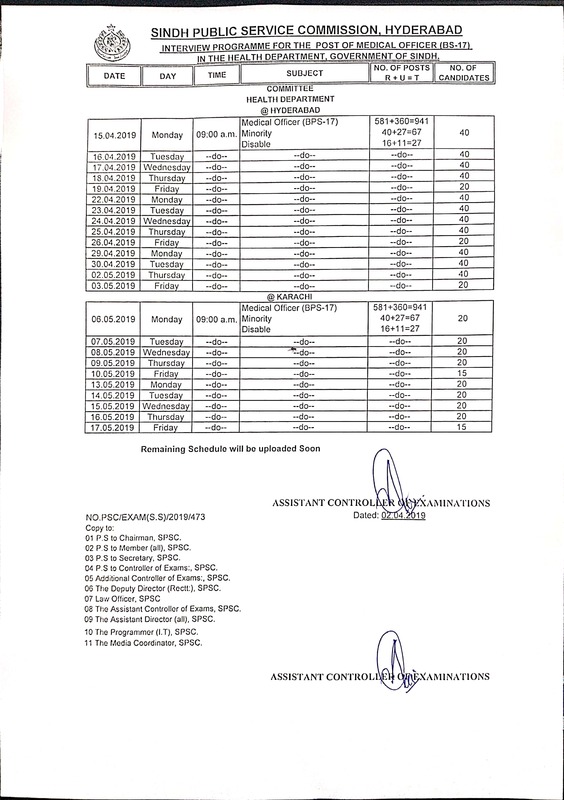 January 07, 2019 Written Test Time Table. 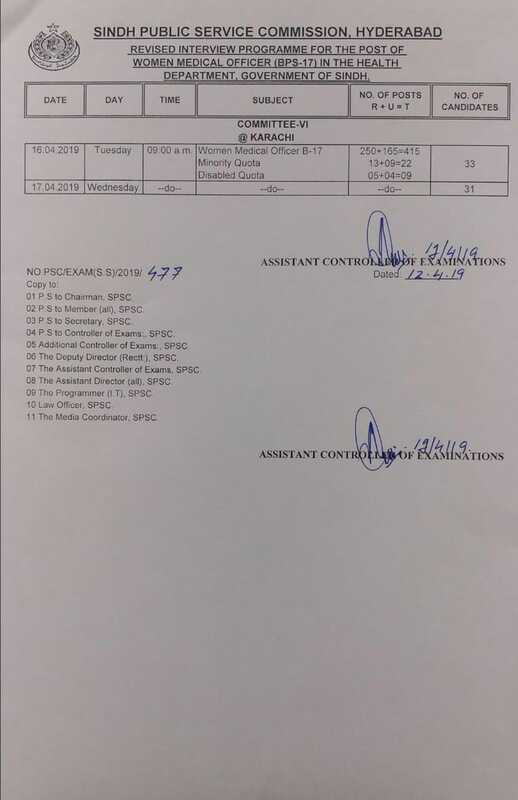 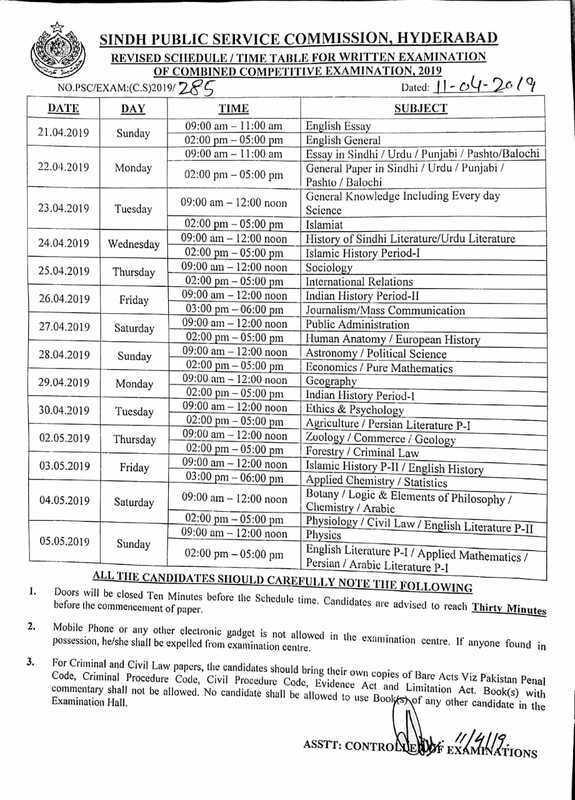 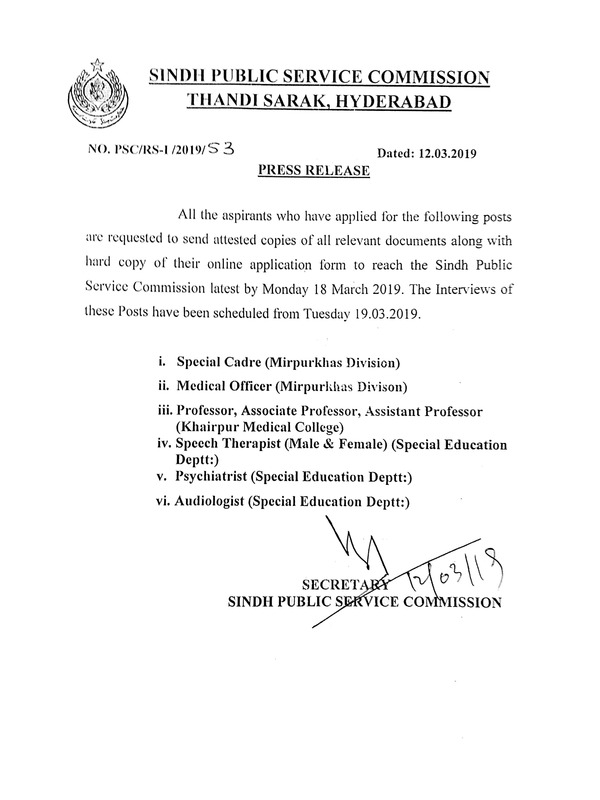 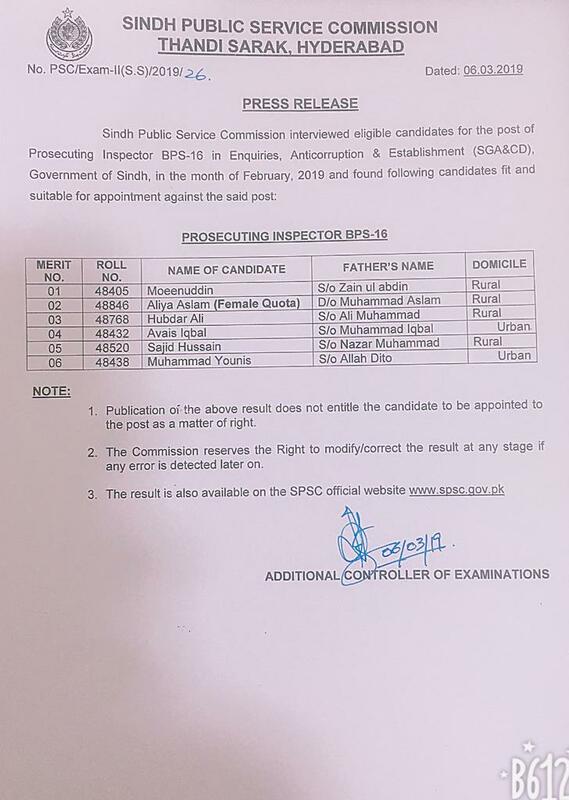 Time Table For Pre-Interview Written Test for Various Posts in diffrerent Departments, Govt: of Sindh to be held in the Month Of February,2019. 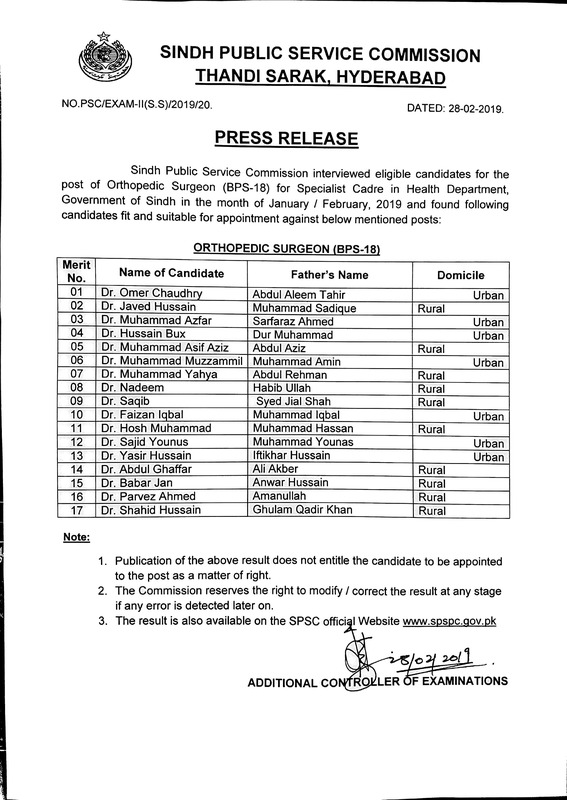 January 07, 2019 Press Release. 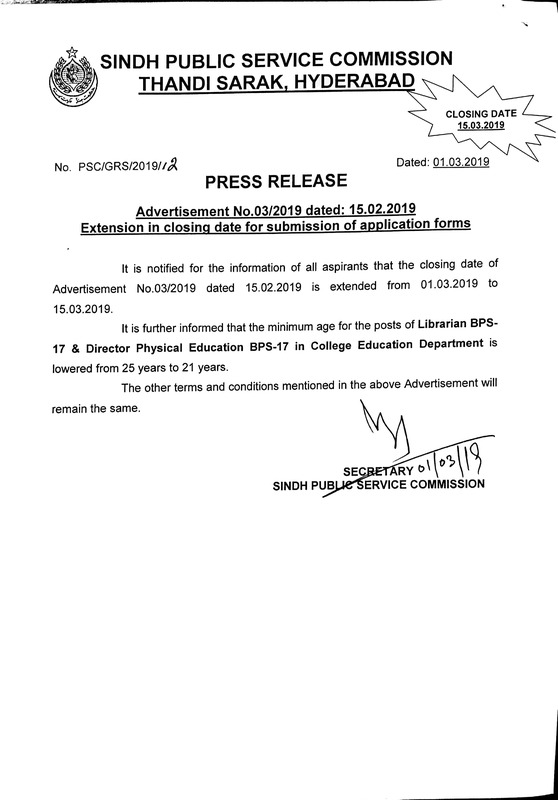 Assistant Superintendent Prison (BPS-16) Physical Fitness test Postponed in Home Department, Govt of Sindh. 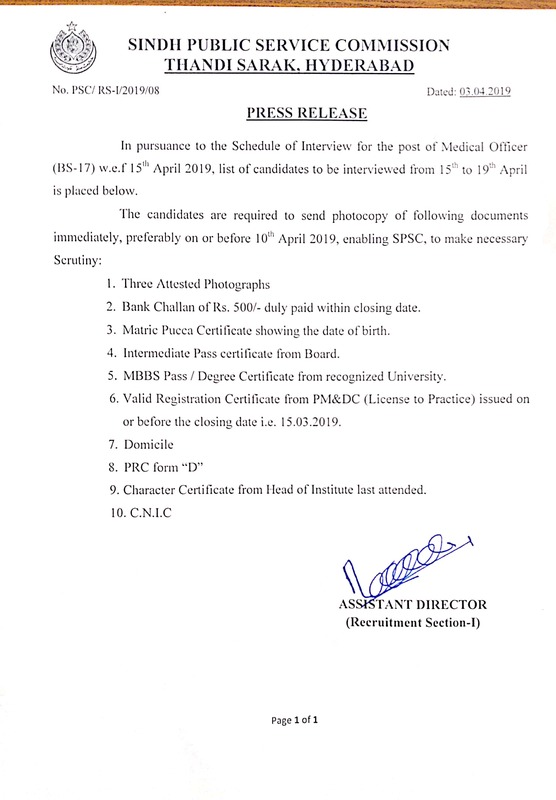 Medical Officer B-17 in Health Dept. 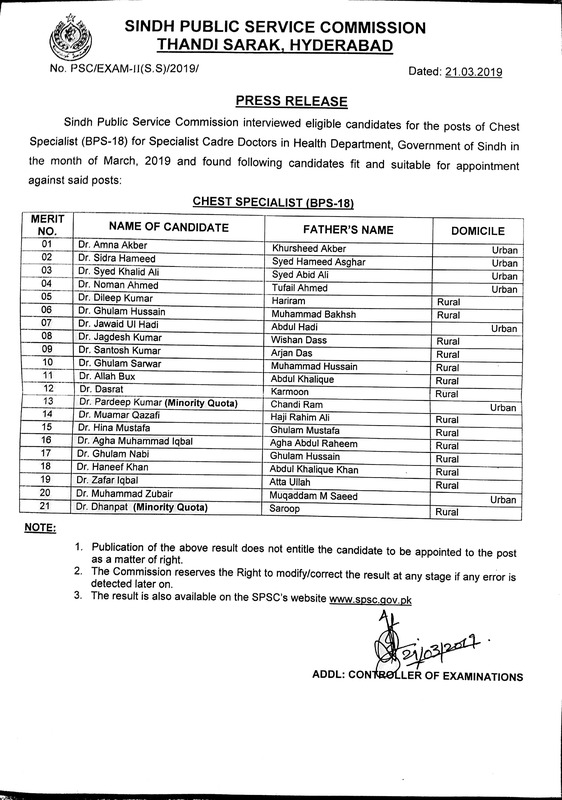 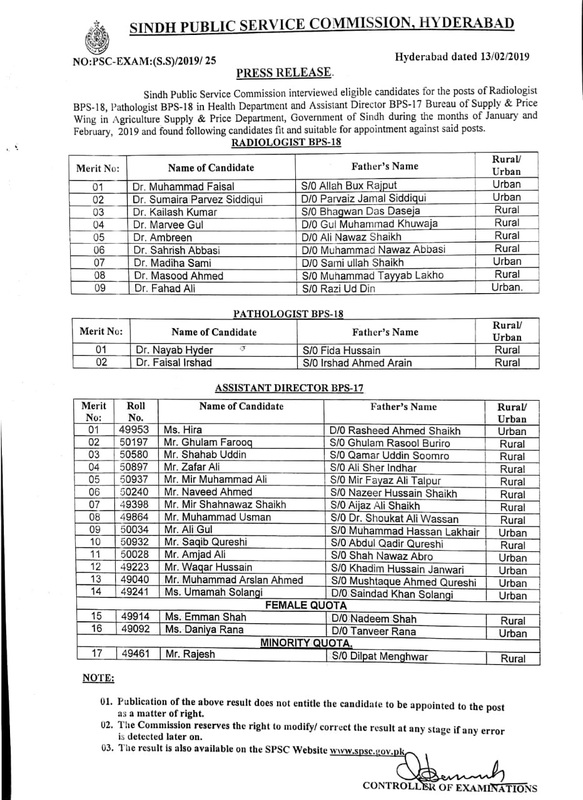 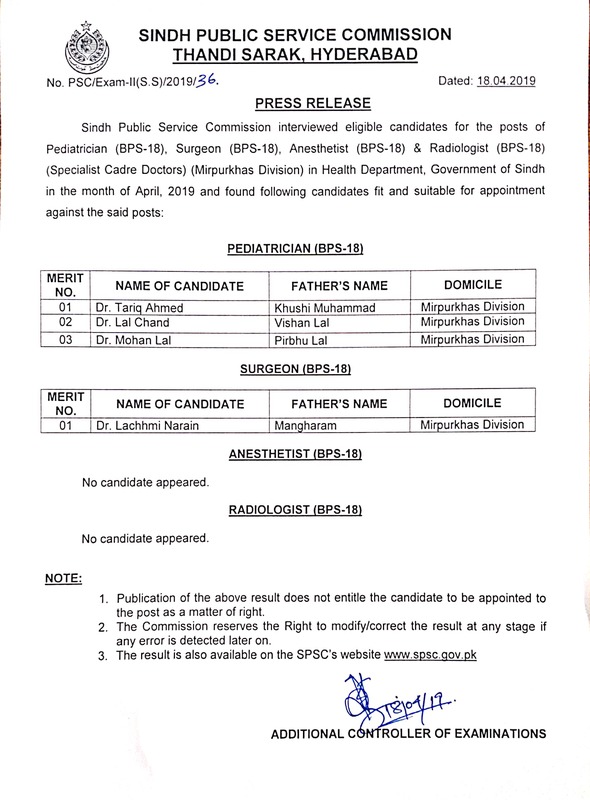 Revised Special Cadre Doctors B-18 (General) & (Mirpurkhas Division) in Health Dept. 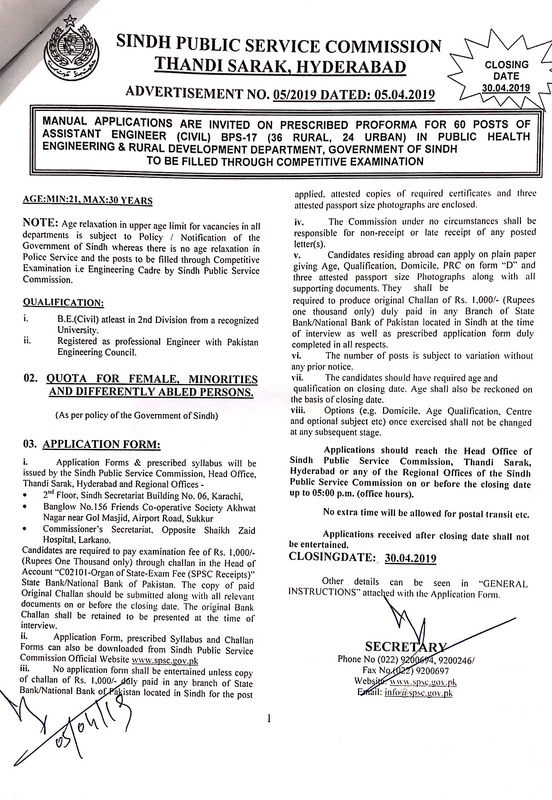 Women Medical Officer B-17 in Health Dept. 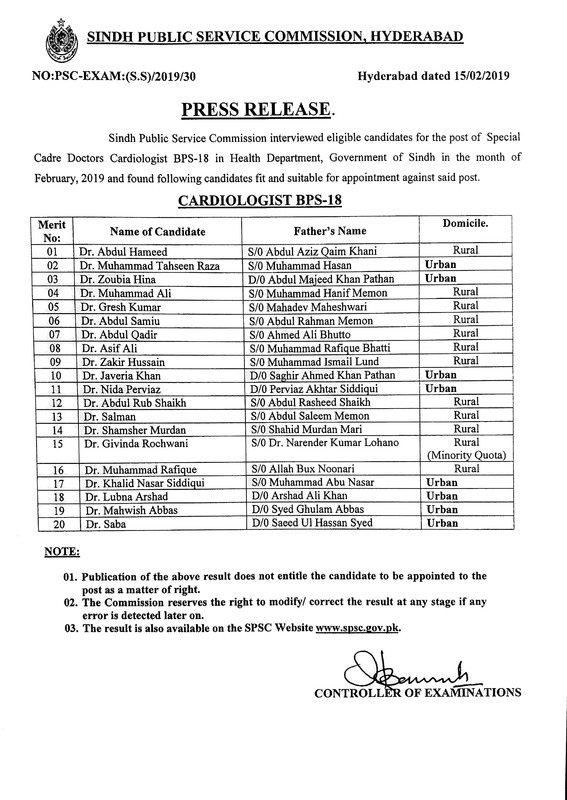 Women Medical Officer BPS-17 in Health Department @Karachi.